Want a deeper understanding of the person of Jesus? At the heart of Christian faith lies a vision of Christ present at the beginning of creation, in the crucified and risen Jesus, and at the end of all things. This vvision retains its ancient power and gains new depth as it is reshaped in the light of our advanced understanding of a vast and evolving cosmos. 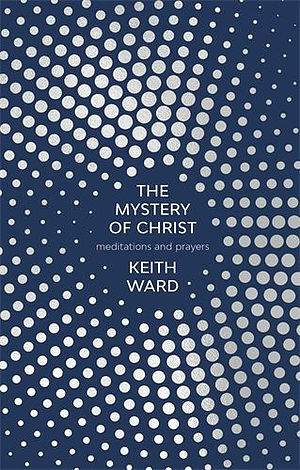 To help us form a truly contemporary Christian spirituality, Keith Ward, writing in our own time and place (rather than the fourteenth century of Julian of Norwich or the twentieth of Thomas Merton), offers a set of reflections on what he believes to be the unique and life-transforming revelation of God in the person of Jesus Christ. And as we explore the spiritual truths relating to this mystery expressed in the Gospels, meditation leads naturally to prayer. The Mystery of Christ by Keith Ward was published by SPCK in March 2018 and is our 33557th best seller. The ISBN for The Mystery of Christ is 9780281079155. Be the first to review The Mystery of Christ! Got a question? No problem! Just click here to ask us about The Mystery of Christ.